In three years, Lauren Daigle has developed into one of the leading voices in Christian music. That recognition grew with the vast success of her debut, Grammy nominated album How Can It Be. Since its 2015 release, the album achieved official RIAA Gold Record status (in less than 18 months) and earned Daigle numerous accolades, including two Grammy nominations, one for Best Contemporary Christian album and one for Best Contemporary Christian song, “Trust In You,” three Billboard Awards for Top Contemporary Christian Album (2016 & 2017) and Top Christian Artist (2017), and seven Dove Awards, including its top honor of Artist of the Year (2016). She accepted the 2017 American Music Award for American Music Award for “Favorite Artist Contemporary/Inspirational.” Premiering in the Top 30 of the Billboard 200, How Can It Be lingered for six weeks at #1 on Billboard’s Top Christian Albums chart and hit #1 on the iTunes Christian Gospel Top Albums Chart. 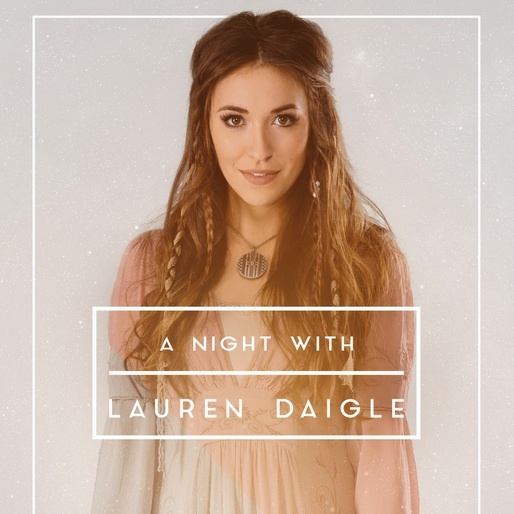 These achievements, along with Daigle’s strong ability to connect with fans, have earned her numerous awards, including Dove Awards for New Artist of the Year (2015), Songwriter of the Year, and Contemporary Recorded Song of the Year, “Trust In You” (2016). She also holds four K-Love Fan Awards, for Female Artist of the Year (2017), Artist of the Year and Female Artist of the Year (2016) and Worship Song of the Year, “How Can It Be,” (2015).